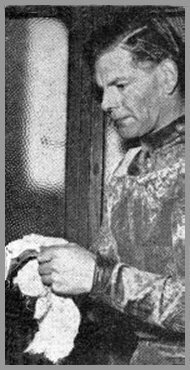 George Bewley first appeared at Dudley Wood at the Training School held during the Winter of 1959-60 just before the Heathens made their return to league racing. He arrived with an impressive Grass Track pedigree behind him and was indeed at the time Worcestershire Grass Track Champion. He created enough of an impression on the shale to stake a claim for a team place to start the 1960 Provincial League season and began with a true baptism of fire away at Rayleigh. This was Cradley's first league match of the season and their hosts were regarded as the cream of the league at that time. Despite notching only three points in a fairly heavy defeat, Bewley turned a few heads. The track was rough and wet and the worse it became, the better George rode. As the years went on, this was in fact to be a feature of his career! One Cradley programme quoted, in 1962, "If speedway meetings were held on bomb craters, George would surely be a star of the Provincial League!" It was a difficult year as the Heathens found their feet in the league. They eventually finished sixth, while Bewley accumulated 59 points from 14 matches, giving him a credible average of 6.00. That figure improved marginally the following season, but Bewley's progress was cut short in an awkward spill at Edinburgh in May where he suffered torn ligaments and cartilage damage. The injuries ruled him out for virtually the whole season and came just after he had chalked up some of his best scores around Dudley Wood. George was the sort of rider who was very well thought of by management and riders, and always willing to lend a hand in the pits, or a piece of equipment, or a whole machine! With a new Rotrax frame, he was back in the squad for the 1962 season, but the form which he had shown the previous year was to elude him. Competing in around 20 matches, half of them in the league, he was notching only a couple of points per match and failed to hold down a regular team place. 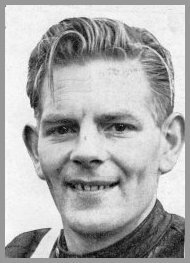 Although returning for the start of the 1963 season, he made only a handful of appearances early in the season and bowed out of the Cradley septet with three points against Middlesborough in May. His worth to the Heathens in those early Provincial League years was of significant importance both on and off the track. He often joked that he'd taken a different route to Dudley Wood every time he drove there, but he always turned up to practise in those early days no matter how atrocious the weather and always gave his best once pulling on the green and white race-jacket. Copyright: Steve Johnson & Cradley Heath Speedway Ltd, 2015.